Over 20 year established roofers covering all the West Midlands including Warwickshire, Worcestershire, Birmingham and the surrounding areas. Services include new flat and pitched roof installations, storm damage emergency repairs and guttering services. So if you need a roofer in Tewkesbury, we find no job too big or small and all our work is fully guaranteed and insurance backed for your peace of mind. 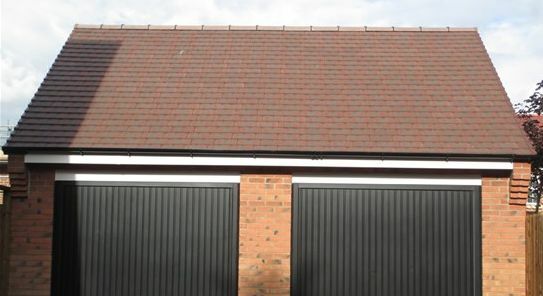 As one of the leading roofing contractors in Tewkesbury serving the West Midlands including Birmingham, Warwickshire and throughout Worcestershire, we offer a range of services to both pitched and flat roofs, from minor repairs to new build installations. As roofing specialists, we regularly work with slate, tile, felt and rubber roofing systems, ensuring each of our clients can benefit from the roofing system which best suits their needs, property and pockets. If you wish to enquire on behalf of a grade 1, 2 or 3 listed building, we have roofers who are practised in the traditional art of leadwork alongside those who work with aluminum, copper and UPVC, amongst other mediums. So if you require a roofer in Tewkesbury why not contact us today, our roofers are fully up to date on the latest health & safety requirements and have the experience required to carryout your roofing project. Need an emergency roofer in Tewkesbury? Storm damage insurance claim? Looking for a fast and reliable emergency roofer to carry out roof repairs? Roofs, guttering and chimneys that are left leaking can cause a lot of unnecessary damage to your property? You can call Warwickshire & Worcestershire Roofing Ltd 24/7, the leading emergency roofer in Tewkesbury, for instant advise and emergency repairs, contact our local roofers today on 07922 286 920.